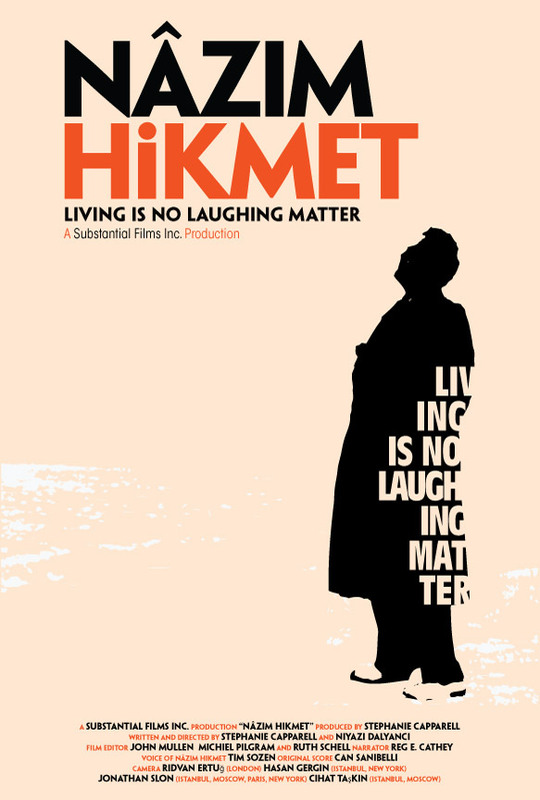 A documentary on the life of the great Turkish poet Nazim Hikmet; length: 86 min. ; shot in 16 mm film and in video in Turkey, Russia, France, U.S. and the U.K. The film was created by Stephanie Capparell and Niyazi Dalyanci, himself a former political prisoner in Turkey. It had its world premiere May 21, 2015, in Athens by invitation of Alkionis art-house cinema, as part of its festival tribute to the poet.